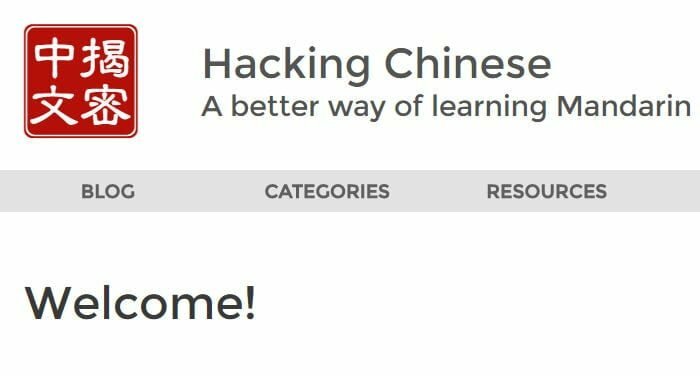 Review of the Chinese language course "Hacking Chinese"
Today I want to talk about the new Chinese language course “Hacking Chinese – A practical Guide to Learn Mandarin” written by Olle Linge, author of the homonym website “Hacking Chinese”. Who is Olle Linge and what is his philosophy on learning? Olle Linge is a Swedish young man who, after studying for almost a decade, obtained a masters degree for teaching Chinese as a second language in Taipei. Besides teaching Chinese privately and managing “Hacking Chinese”, which is in my opinion one of the two or three best websites around, this year Olle has also created a course that promises to teach you how to learn Chinese. Based on this philosophy, the course “Hacking Chinese” is not your usual e-Book that just presents the basics of vocabulary, pronunciation, grammar, etc; rather it’s a compilation of strategies and tactics for learning Chinese in an effective manner. Look, if you had to summarize the course in a single phrase, I would say that it answers the question that I just raised. But obviously there’s much more! Below I will explain what it contains and how it’s structured. How much does it cost and what does the “Hacking Chinese” course offer? A 100 USD discount for various useful services for learning Chinese. Note that Olle offers a 30-Day Money Back Guarantee from your date of purchase. How is the course “Hacking Chinese” structured? In this chapter, using the metaphor of an adventure in the jungle, Olle explains how learning another language is a very personal journey that depends on your current level, situation and above all your final objective. The chapter also explains how to maintain motivation in the long term, reducing as much as possible the negative feelings caused by learning Chinese that if faced “passively” will become extremely tedious. To conclude, Olle lists the pros and cons of various methods for learning Chinese (at home, in school, the “kamikaze” approach, etc). This chapter discusses the best methods for learning characters, vocabulary (contrary to what many beginners think Chinese characters do in fact change meaning according to the characters that follow or proceed a given character) and grammar. The chapter also explains how to learn and reviews two extremely different concepts such as software SRS that can help you optimize the time spent reviewing (but warning you that SRSs are not a panacea to cover all ills – another common misconception that I too was guilty of), and how wrong it is to try to remember 100% of what you learn. The last part of the chapter is dedicated to mnemonic devices, which I too feel are fundamental if you want to avoid learning Chinese words through incredibly boring (and often useless) repetitions, and techniques for learning to write Chinese characters. This chapter covers techniques for bettering your ability to read and understand spoken Chinese. Olle – and I find myself in agreement, – believes that the “secret” is to read and listen to Chinese as much as possible. The difficult thing is understanding how to do so, since your time is limited. The chapter goes on to list various techniques for “immersing yourself” in reading and listening. Want an example of the many suggestions you’ll find in this chapter? If you enjoy playing video games, try changing the language of your PlayStation to Chinese! This chapter is laid out similarly to the previous one, focusing instead on techniques for improving your ability to speak and write Chinese. What struck me the most was the part dedicated to the most common errors in pronunciation (perhaps because it has always been my weak spot). This chapter is dedicated to techniques for maintaining motivation while learning Chinese, even if it seems you’re not progressing fast enough. In my opinion this is very important, because for a Westerner, Chinese presents further difficulties as far as learning goes than, for example, learning French. Progress is therefore slower; and that requires greater effort in terms of “motivation”. Furio Fu is an entrepreneur, speaker of many languages and founder of Sapore di Cina.